ABA Training Unlimited Subscription is proudly presented to you by Relias Academy. Thank you. We hope that you enjoy your course. This subscription grants you unlimited access to Relias Learning's complete library of ABA, Autism, and IDD online continuing education (CE) courses for a 1 year period. You will also have complete access to all Autism Training Solution (ATS) content, including all Applied Behavior Analysis packages. These course packages were specifically designed to meet all BACB-mandated requirements for BCBAs and RBTs, as well as provide valuable training and resources to other professionals and paraprofessionals who frequently interact with individuals with disabilites. 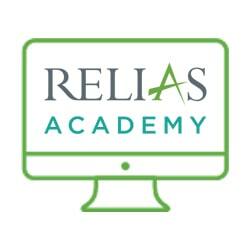 With an additional 1,500+ supplemental courses available on Relias Academy, this subscription will give you access to training on virtually every topic imaginable. We are accredited by all of the major national and state licensing boards in the industries we proudly serve.